Tinder have a relatively simple approach - you log in, see who you like, see if they like you back, and get to chatting. Despite this, they've continuously added, expanded and complicated the service to increase its scope, in the wake of an ongoing identity crisis within both the app and the company itself. Now, there's even a private Tinder, intended to only be used by the most 'successful' Tinder users. In my mind, the most successful user of a dating app is surely someone who doesn't need to be on it anymore - someone who has found a partner. According to Tinder, the most 'successful' users are actually famous people, models, CEOs, movers and shakers and other members of the wealthy elite. These are the people Tinder has invited to join Select. Very classy. 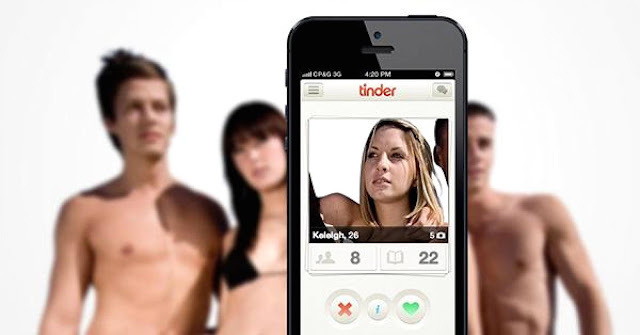 Rather than allowing registered members to then bring other people in, Tinder preside entirely over who gets to be on Tinder Select, which obviously prevents the membership from ballooning, but also raises some questions about how exactly Tinder are judging who is worthy of inclusion. It seems like they're going after people who could be regarded as conventionally attractive, which is kind of creepy when you think about it. It's like if hotornot.com was a dictatorship. Judging from the pictures TechCrunch got ahold of, Select has a much prettier interface than the main app, and users can switch back and forth between standard Tinder and Select as they please. Given that the service has been active for at least six months, and no announcements were ever made, it's a fair bet that Tinder didn't really ever expect/want the wider user base to know that it even existed. One reason for this (besides the obvious elitism) is the notion that the Tinder 'Elo score' might contribute to who does and doesn't get added to Select. The Elo score is the rating which helps the app decide which users you're shown when you're swiping, but it also ranks users. The Elo score has been described as a measure 'desirability', and it works like this - the more you're swiped right, the more your rating goes up, and people with higher ratings then have a greater impact on your score. Basically, if someone super hot swipes right on you, you get hotter. Grim, innit? Tinder isn't the only service to use a system like this, but despite everything they might say in the name of self-preservation, no other app relies so heavily on attractiveness to function properly. They're not the only app to have a private version either, but other services do this for somewhat different reasons. Bumble, ever the better example of how dating apps should work, has ViBee, a verification-based extra layer which rewards good behaviour, like how many conversations you initiate and maintain. The cynicism fuelling Tinder has never been a secret, but even by that standard Select just seems like a very bad business decision. Even if they never expected the broader user base to find out it existed, the risk of seeming like you value more famous/attractive users over everyone else far outweighs any benefits that Select might offer. From Tinder's end, I'm struggling to come up with any. Maybe the staff are just trying to hook up with supermodels, nothing would shock me at this point.